The winter blues have finally surpassed us and spring is in full swing – a season that’s all about embracing change. So, how ready are you for the GDPR? As of the 25th of May you’ll have exactly 12 months to prepare your business. This means keeping a record of data operations, carrying out privacy impact assessments, reviewing your processes for the collection of personal data, and much more. Failure to comply could result in a fine of up to 4% of your organisation’s global annual turnover, and a damaged reputation beyond repair. Many organisations worldwide are yet to devise a coherent plan and form a strategy with their desired end state in mind. There are key factors a business needs to consider; its economic goals, its risk position and how to tackle the GDPR. With the deadline looming, and such demand for the specific skills required to ensure compliance, there’s a risk that small and medium-sized enterprises will struggle to find the support they need. Panicking? 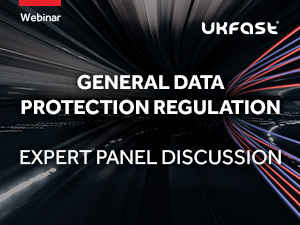 Well, to help navigate the multifaceted waters of the General Data Protection Regulation we’re launching a live, one-hour webinar tomorrow at the reasonable time of 11am. Our panel of experts will be talking you through the binding legislative act enforced by the European Union. They’ll be discussing how it will affect your business, why the sooner you prepare the better, and – despite Britain’s vote to leave the EU – why UK companies must continue to work towards compliance. Data security is every business’ business – that is why the GDPR was created: to maintain a secure data landscape that gives individuals greater control over their information.